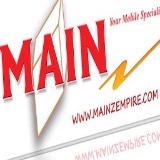 mainz_empire Great Buyer to deal with! Honest n Sincere. Swift n Hassle free!! Definitely A friendly guy too! :) Tks Loads bro!! @hmetuddin is on Carousell - Follow to stay updated!